Two party system is well entrenched in Himachal politics, as the efforts to put up a third alternative have neither been credible, nor lasted long in the small hill state. The new parties occasionally throw their hats in the ring in Himachal to cash in on rebellion factor in existing ones in polls and vanish later. The electorate in Himachal have cautiously not given much room to any third political party, barring few exceptions, when a third option could tilt electoral equations in Assembly elections. The main contestants for power in Himachal are Congress and Bharatiya Janata Party (BJP) over the past three and a half decades. The leaders in any third alternative have failed to give a credible face as they emerge from Congress and BJP in polls and then merge with their parent parties. The hill state was traditionally dominated by Congress party and saw first non-Congress chief minister, Shanta Kumar in 1977, when Janata Party came to power. From 1985, the Congress and BJP ruled the state alternatively. “There has been no originality in third party in HP with rebels, either from Congress or BJP joining hands and then saying good bye. It is a small state and people go with the time tested parties only,” state BJP Vice President, Ganesh Dutt analysed. As history goes, the efforts to have a third option started in 1972 polls, when a leader from Kinnaur, Thakur Sen Negi formed Lok Raj Party. It could win only two seats as Congress swept the elections. The party vanished in 1977 when some leaders joined Congress. In 1989, rebel Congress leader, Vijay Singh Mankotia and some other leaders, including former Chief Minister, Ram Lal Thakur joined Janata Dal and forged an alliance with the BJP in 1990 Assembly elections. It won 11 seats. The ruling Congress was relegated to third position with just nine seats. The dominant alliance partner BJP won 47 seats. Later, Janata Dal split and eight members joined Congress while three members remained with BJP and third force was wiped out. Former Union minister Sukh Ram, who was expelled from Congress after ‘telecom scam’ in 1996 floated Himachal Vikas Congress (HVC), winning five seats in 1998 Assembly polls. It finished second in 12 segments. In a tight number game between Congress and BJP then, the HVC chose to support BJP to be a part of the government. In 2003 elections, HVC got one seat and finally merged with Congress. In 2007 firebrand Congress leader Vijay Singh Mankotia again quit the Congress and joined Bahujan Samaj Party (BSP). However, it won only one seat. Mankotia himself lost, ultimately joining back Congress in 2012 polls. In 2012, when rebel BJP leaders formed Himachal Lokhit Party (HLP) under the leadership of Maheshwar Singh which made serious dent in BJP vote bank. Even though HLP won only one seat, the BJP could not retain power and won only 26 out of 68 seats and the Congress was back in power. The HLP too split and major faction headed by Maheshwar Singh joined BJP while the splinter group opted for Aam Admi Party. The leaders, who joined the AAP were keen to contest elections, but AAP decided not to enter the fray. 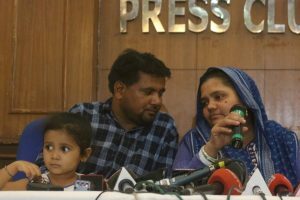 The Communist Party of India (Marxist), which has been struggling to gain ground in HP for long, is in the fray this time as well, fielding 14 candidates. The party promises to be alternative to BJP and Congress, but does not have much base across the state. 1972: Former Speaker Thakur Sen Negi floats Lok Raj Party. 1989: Rebel Congress leader Vijay Singh Mankotia joins the Janta Dal along with other eminent leaders. 1996: Expelled from Congress, former Union Telecom minister Sukh Ram forms Himachal Vikas Congress. 2007: Congress leader Vijay Singh Mankotia again quits Congress and joins BSP. 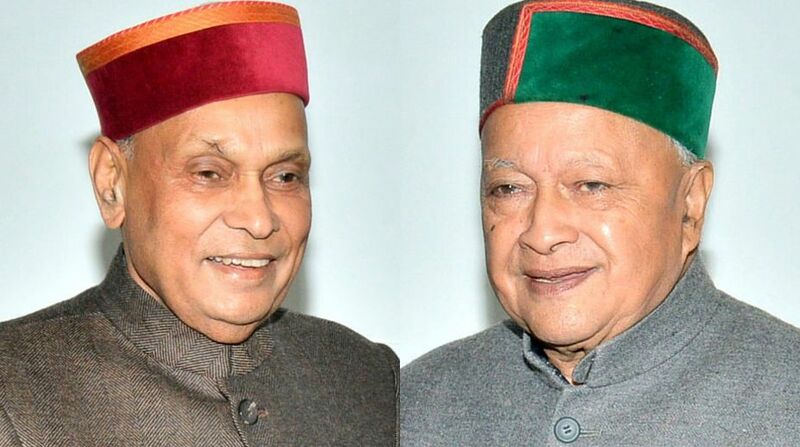 2012: BJP leaders form Himachal Lokhit Party under the leadership of Maheshwar Singh.